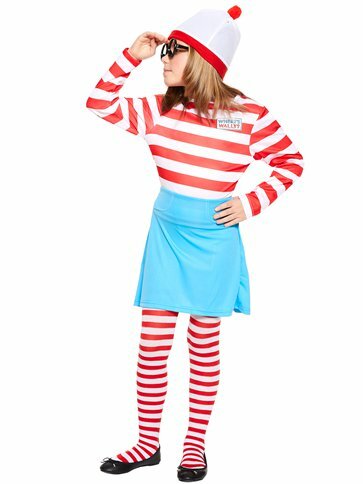 Home Fancy Dress Where's Wally? 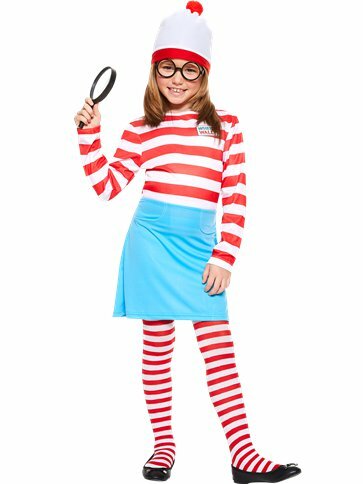 Top, skirt, glasses, hat and tights. 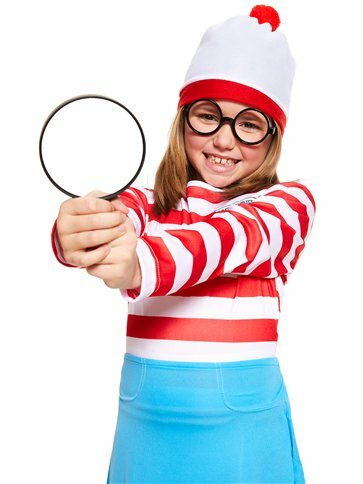 Become Wally's best friend Wenda in this officially licensed Where's Wenda Costume from our World Book Day collection. 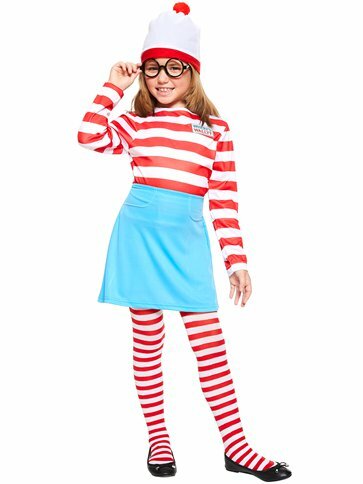 This cute, five piece, book character costume consists of a long-sleeved, red and white striped top, a pale blue skirt, a pair of stripy tights, a bobble hat and a pair of black lens-free glasses. 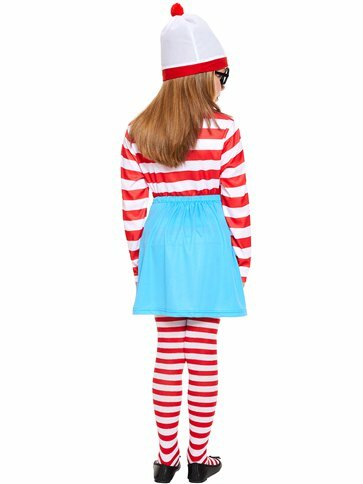 A great dress-up costume, ideal for themed events such as World Book Day ! 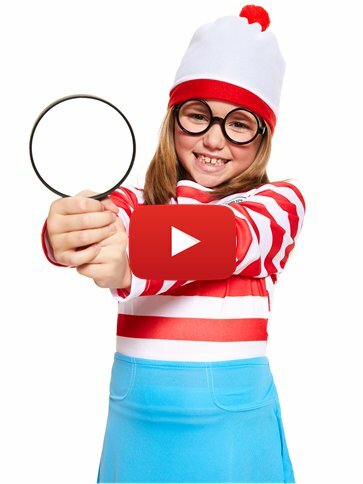 Want it Friday, 26 April? Order it within 11hrs and 43mins and choose Premium by 9pm Delivery at checkout.